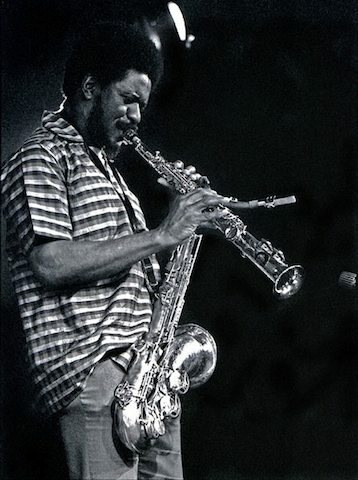 Pharoah Sanders is a Grammy Award–winning American jazz saxophonist, described by Ornette Coleman as "probably the best tenor player in the world." Emerging from John Coltrane's groups of the mid-1960s Sanders is known for his overblowing, harmonic and multiphonic techniques on the saxophone, as well as his use of "sheets of sound." Sanders is an important figure in the development of free jazz; Albert Ayler famously said: "Trane was the Father, Pharoah was the Son, I am the Holy Ghost."